October is one of my favourite months, it's going to be autumn! 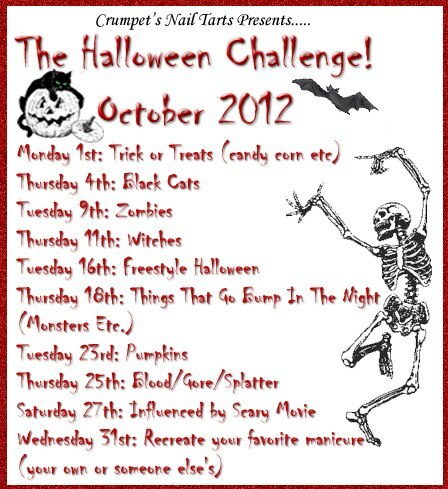 And October also means, it's Halloween, one of my favourites, so there is a challenge I want to participate, you could find it on that facebook-page. To be honest, in my mind, it looked a lot better than in the reality, I am a bit dissapointed of it, but watermarbling is not my best nail art, just wanted to try something new. I think this is a great water marble...they can be so finicky....lovley!! Sat-art-day! Finally - it has arrived!